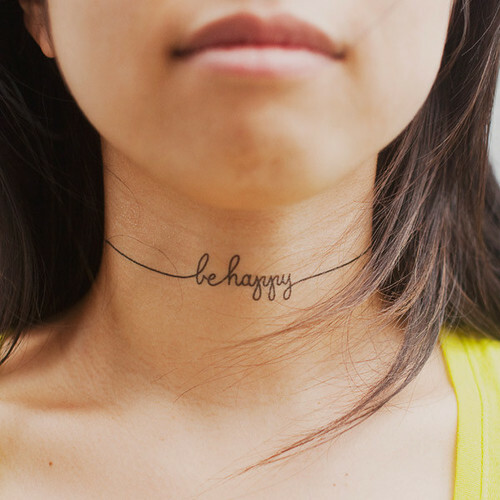 Be Happy Tattoo by graphic designer and lettering artist Lila Symons. Well this is actually a Tattly which you could buy for $5 here. But wouldn't be actually awesome if it were a real tattoo?! !